Английский язык. 3 класс. Книга для чтения. Верещагина И.Н., Притыкина Т.А. 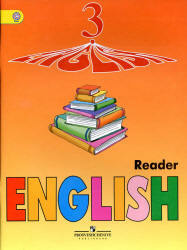 Here is the English book for you to read at home and in class. Most of the stories are fairy tales, because everybody knows that children like tales. In this book you'll find a funny tale about Puff-the-Ball that wanted to have friends. You'll learn what friends he found and how he did it. We hope you'll also enjoy reading the tales about the three friendly and clever goats, about the funny monkey Guy by name and some other interesting tales. Now you know English well enough to be able to read even serious texts about the country the language of which you are learning, about English people, their holidays, traditions and ways. We wish you health. We wish you joy. This book is for you to enjoy.